For many of us, a Disney Carousel is a signal that you’ve officially reached Fantasyland when walking through the parks, but very few know the backstory and the connection the Carousels have to Walt Disney himself. Come to find out, one particular ride could have even led to the entire vision of Disneyland in the first place. While some believe that conclusion could be a stretch, it’s hard to pass up the incredible detail and story involved with such a simple aspect of the Disney parks. As the story goes, Walt Disney once took his daughter out to Griffith Park as he did fairly frequently during his time away from animation and production in Los Angeles. As he sat on a bench watching the crowds and taking in the scene, he realized that a majority of the people in the park were sitting around watching their kids have a good time. To Walt, something seemed out of place, and he came to the realization that the adults and their kids should have a place to go to have fun together. The theme parks didn't have to be for children OR for adults, but rather a place for everyone to be a kid again for even a short period of time. He wanted a place that people could leave the troubles of life behind and just enjoy for even a few minutes some time without any worries! So, being the genius entrepreneur Walt had proved himself to be, he took the idea and ran with it and we all know what that turned into today. While that vision may not be completely the same as it once was, the Disney company still strives to present a first class experience to each and every guest. Thankfully, the story of the Carousels doesn’t end with just one story. 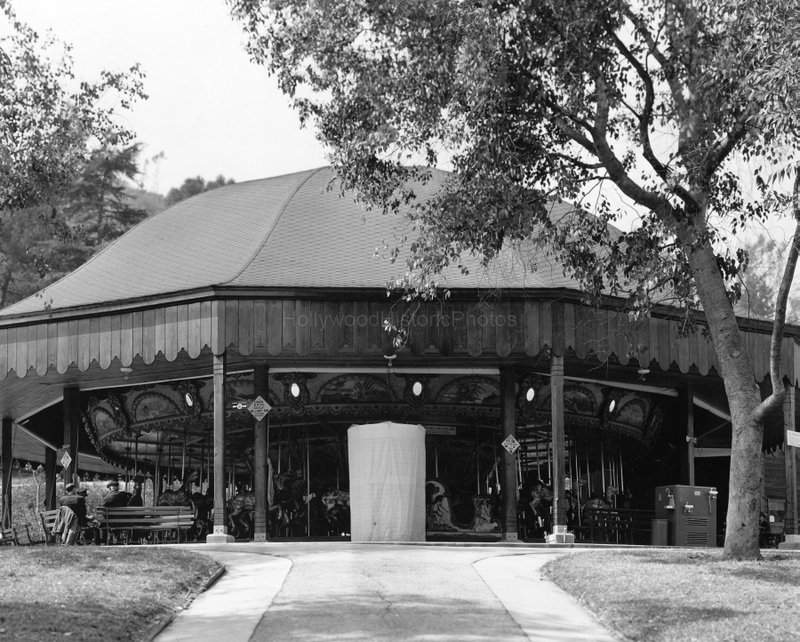 As you may know, that very same Griffith Park ride became the inspiration for the Disneyland Carousel that many of us have enjoyed for over 60 years! While Walt Disney had a vision, he strived to make that vision a reality in a way that very few people are capable of doing. He had developed experience from his backyard miniature railroad, the Carolwood Pacific, and already had a loyal following of friends and family that he entertained week by week. Then, he just took the next step and developed Disneyland from a simple idea that developed from Griffith Park! It definitely wasn't an easy process and one that was plagued by financial barriers, but the results speak for themselves and offer a lesson to each and everyone one of us to never give up on our dreams. While that’s the story of Disneyland’s Carousel or at least part of it, Walt Disney World’s Prince Charming Regal Carousel has a story of it’s own. While building the Magic Kingdom, the search develop for a Carousel that would be feature prominently in the park. When they found the best option, it happened to be in Maplewood, New Jersey, at Olympic Park. However, the attraction was far from perfect. It was originally built in 1917 and clearly needed an update. Imagineering went to work and successfully refurbished the entire attraction from the bottom up. A new theme was developed, and in a way the refurbishment continues even today. Each and every day, the Carousel is continually updated. Each of the horses is painted on a cycle with reserve horses filling in the gaps. Each “ride vehicle” is hand painted and kept up to date in a way that most guests would never realize the slight changes in day to day operations. The attraction never needs to be down for long refurbishments as result and rumor has it that even the beams holding the horses are polished each and every night to avoid discoloration and deterioration over time. As you can imagine, it must be an elaborate process, but one of the most rewarding jobs in the parks. You would quite literally be keeping history alive. So, next time you’re on the Carousel at Disneyland or Walt Disney World be sure to appreciate the history and enjoy the attraction in a way that you’ve never quite experienced it before. After all, it is the oldest attraction at Walt Disney World (although technically the Roy O. Disney steam train was built in February 1916, one year before the Carousel) and it still functions flawlessly to this day! As always, thanks for reading and be sure to share with friends on Facebook, retweet on twitter, and like our posts on Instagram.